From an ordinary teenager to the owner of a 100-crore company, a woman has done an exceptional job through sheer hardwork and dedication. An award winning entrepreneur and inspiration to many, We are talking about Nina Lekhi – founder and Managing Director of fashionable bags brand ‘Baggit’. Nina was born in a middle class family. As she failed in an Arts exam in her college, her life changed. In 1990, while working as a sales girl, 18-year-old Nina had learned everything about retail and found a need of ‘cool bags’ the market. Without any business plan or anything, Nina started her own brand Baggit in her own house and never looked back. After 25 years in business, Baggit India has become a 100 crore company and also recognized from PETA for being a cruelty-free, vegan brand. Nina is an ardent follower of Siddha Samadhi Yoga (SSY) and maintains work-life balance. Along with her husband, She has also adopted Katarkhadak village to ensure rural employment and overall welfare. Nina’s biography, Bag It All, was published on 20 Jan 2017 describing her journey till date. Athiya Shetty launched Bag It All along with Nina Lekhi during a private event at Mumbai. Take a glimpse at the inspiring and encouraging read as Nina Lekhi shares her journey with the readers. At Vowelor, We had a candid conversation with Mrs Nina Lekhi. She shared many interesting and inspiring things with us. Also, Nina advised young women and gave out her mantra for success! Here’s what Nina Lekhi shared in an Exclusive Interview to Vowelor. When exactly the thought of publishing your biography came to your mind? We were celebrating our 26th year of business and I realized there was so much I wished to share with the world right from business to my life. There is this belief that women cannot have it all but given my experiences, I strongly believe that women can have it all if they are determined, disciplined and have that fire in the belly to make it work. I am hoping that with this book I will be able to inspire more entrepreneurs and women to expect and get more out of life. Writing a book is special. How was your experience during the whole process? Between Jaico Publishing, Suman, the author of the book and me, this was a long process of many interviews and voice bytes that ended up being put into paper. It was an emotionally deviated as I had to recall my experience in the form of a story, it is easier sharing it with someone who understands your wavelength and life story. My close friends and confidants also deserve a huge thank you for reading and re-reading the book again and again, sharing edits and helping me refine the story. Would you like to share any special moment you had while the book was in making? I think the special moment was when my college friend Mana Shetty’s daughter Athiya Shetty, one of Bollywood’s leading actresses joined me in releasing my book ‘Bag It All’. It was really heartwarming and a touching moment for me, because Mana was always a dear friend of mine and to have her daughter and my daughter too on the same platform was truly special. It was a humbling experience that Athiya shared the stage with me to release my book that encapsulates the successes and challenges of my Baggit journey, in the last two and a half decades. 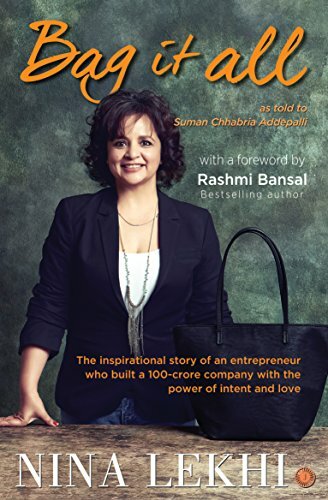 From being a no-special girl to a leading entrepreneur, your book tells it all. What’s next for you? Baggit designs and manufactures its entire product portfolio in India. I wish to take India to a global platform with the company’s philosophy of “Make in India” while keeping in mind the sensibilities of the Indian consumer. What’s your word of advice for all our female readers? My advice to all the women is to do what you love. If you love doing something then the passion to make it big or make it successful will automatically come within you. That passion will ignite the fire in you and keep it burning. Don’t play safe, start taking risks as it will help you explore new dimensions. Every risk you take in life will always help you become stronger, both spiritually and physically. Also, make sure to travel & explore more! You have been a motivation for many. What is the thing that motivates you? 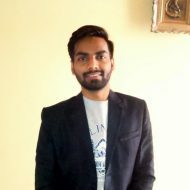 I’m inspired by my loving, supportive family and my husband, Manoj Lekhi whose success cue program has inspired me to grow from just a worker in a factory to an entrepreneur with a vision and many other learning’s from him about developing my inner self which has automatically created my outer growth as an entrepreneur. I have been driving Baggit for 26 years now and I am happy to have such a great team who is very supportive and enthusiastic about their work. The positive working culture and encouraging atmosphere inspires me to come to work every day and makes me more committed. Also, retail is a dynamic sector to be in and I love the new challenges which come my way every day. I believe in the concept of “Work hard, party harder”. What advice would you wish to give to your own younger self? I remember during the initial years of making bags when we had about 4 workers and one day in a fit of rage I happened to have an altercation with one of the artisan. He was equally upset and with the other 3 artisans decided to leave my services immediately. It was like a mini strike at my mini factory consisting of 4 workers, but a major setback for me as I was completely flummoxed on what I was to do next. However, that incidence was an eye opener for me and gave me the first hard lessons. First one being, anger cannot be the answer for any problem, secondly I had to immediately graduate in my skills of handling people and the third most important one, I had to quickly find ground and learn to start things from the scratch all over again. Success has its pains and perks. What’s your success mantra? One of the most defining factors in my success has been my perseverance and determination to. Add a lot of discipline which I learnt along the way gave my business a chance to grow into the admired brand that it is today. Hence, I believe that it is my journey that has made me a successful entrepreneur. i. Failure is the stepping stone to success. ii. Enjoy what you do, and do what you enjoy. iii. Work hard, and reap its benefits. Your biography gives insights on your interest in spirituality. How has it helped you in life? I believe in Vairagya which is an internal state of mind rather than a pure affiliation to an external lifestyle. For me growing Baggit is about playing a game with high spirits and yet being spiritual. I love adventure and I love meditation. I associate adventure with business and I use meditation as my medium to introspect and make decisions in business that is both innovative & creative. I look at adventure as my method to grow my appetite to take big innovative jumps and analyze my courage in business. I also travel a lot across the globe which inspires creativity within me which then gets injected in the Baggit product portfolio. Shall the readers expect some more books coming from you in future? I will probably write a book when I am 80 years old, and my book will include some insightful truths about life and my experiences. It has always been my vision to contribute towards society and make a mark for myself before I die. What books do you read? Who’s your favorite author(s)? Jonathan Livingstone Seagull, written by Richard Bach, is one of my favourite books. It is about the seagull learning about life and flight, and a lesson about self-perfection. Also, my husband Manoj Lekhi who is the author of ‘Your Child is Your Parent’ & ‘Money, Wealth & Abundance’ inspires me a lot. I think this is an amazing platform for budding writers to publish their work. It is also a great medium through which one can buy, exchange, sell and even donate old books.